Katherine Tegen Books, 2018. Hardcover. 304 pages. I loved The Problim Children! This was an incredibly fun, imaginative, and entertaining read. The Problim children are probably one of my new favorite fictional families--perfectly wacky, yet incredibly adorable all at the same time. There are seven children, each child for a different day of the week: Mona, Toot, Wendell, Thea, Fida, Sal, and Sundae--and, of course, their pet pig, Ichabod. I worried that such a large cast of main characters would be confusing, but I quickly caught on and was able to discern each character due to each one's unique and endearing personality. There were a few minor aspects of this book that seemed to drag on on a bit too much or that were simply given too much focus, but these did not overtake my enjoyment in any way.The best part of this book was how Lloyd managed to work in a very open-minded mentality among the children about being accepting of different personalities and lifestyles in a way that was completely subtle yet incredibly effective. It was beautifully done, and I am absolutely going to be buying a copy for every child I know once they hit the middle grade age (or any fellow adult who wants a fun book!). Overall, I gave The Problim Children four stars! Chicken House Ltd, 2017. Paperback. 368 pages. 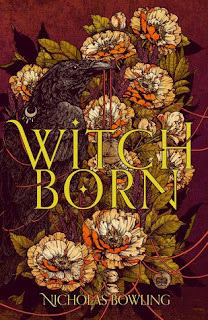 Witchborn was probably seventy-percent cover-buy/thirty-percent "ooh a witch story!" purchase. This cover grabbed me because I have such a thing for gorgeous detailed covers like these and I love ravens. Then I discovered that this was about witches and takes place in 1577, and well, I was sold. I didn't enjoy this one quite as much as I expected, but nonetheless it was still a really interesting book. 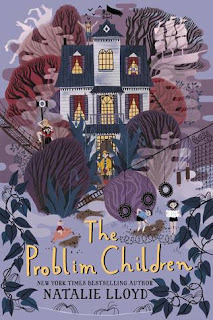 It was fairly slow-paced, which is why I might recommend it for an older or more mature middle-grade reader, as felt that there were times when it balanced on the line of middle grade and young adult both in subject matter and style. It's definitely middle grade, but almost in the Tamora Pierce-sense where it can easily be read by any age. I wanted to see more magic from Alyce rather than simply moving the plot along to reach a destination. I did, however, love the dark and mysterious atmosphere that permeated this entire book. Overall, I gave Witchborn four stars! This would be a great read for any witch fans! I haven’t read either of these. I don’t read many mg. Mostly my hubby does. I will share these with him.